04 Dec 2017 --- Scientists at Joslin Diabetes Center in the US have taken another step toward solving a long-standing puzzle about heart health in Type 2 diabetes, with a finding that eventually may point towards more personalized patient care. Genetic analysis has linked the hormone known as glucagon-like peptide 1 (GLP-1) with cardiovascular mortality risks. People with Type 2 diabetes, who are at least twice as likely to develop cardiovascular disease (CVD) as people without the condition, can generally reduce their risks by carefully controlling their glycemic (blood glucose) levels. However, back in 2008, the ACCORD (Action to Control Cardiovascular Risk in Diabetes) trial made a paradoxical finding, says Alessandro Doria, M.D., Ph.D., M.P.H., a senior investigator in Joslin's Section on Genetics and Epidemiology. 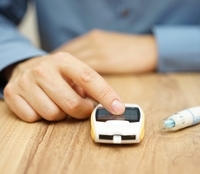 Among people with diabetes and high risk of CVD, it found that those who achieved extremely tight glycemic control showed higher risks of fatal heart attacks than those who did not, he says. Now in a paper published in Diabetes Care, the Joslin team has linked one of these genetic markers with levels of the hormone GLP-1, says Doria, senior author on the paper and an Associate Professor of Medicine at Harvard Medical School. The Joslin team began its analysis by measuring 65 biomarker molecules in the blood among 351 people in ACCORD. The researchers then looked for an association between these biomarkers and the previously discovered genetic variants for CVD in the two arms of the study – one arm with intense glycemic control and the other arm with standard glycemic control. The most common measurement for glycemic control is a “hemoglobin A1C” or HbA1C test, which reflects average blood glucose levels over several months. Those in the trial's intensive-control group sought to reduce their HbA1C levels below 6 percent, while those following standard guidelines aimed for HbA1C levels below 8 percent. While the link between higher risks of fatal heart attacks and lower GLP-1 levels after 12 months of intensive glycemic control was unexpected, it fitted in with what is known about the hormone. “GLP-1 is produced by intestinal cells, and its main action is to stimulate insulin secretion from beta cells, but the hormone also has a beneficial effect on the heart and blood vessels that is independent from its action on insulin secretion,” says Doria. The US Food & Drug Administration has approved several GLP-1 “agonist” drugs (injectable GLP-1-like molecules) for people with Type 2 diabetes, Doria says. In addition to lowering blood glucose, these drugs have been shown to improve cardiovascular health of diabetic patients. An earlier class of drugs known as DPP4 inhibitors, given orally, aims to provide similar effects by preserving the hormone in the bloodstream.